It all started when I was about to cash out the only remaining 500 pesos cash balance in my ATM account. That was all I had that day to live the remaining seven days of the month before I received my next month’s paycheck. I had to stretch that money out for food and gas, hoping and praying that I would never meet bad circumstances that require spending big amount of cash. I hate to say that I was living paycheck-to-paycheck. I found myself consistently running out of money before the next payday arrives. Sometimes, I had to borrow money from friends or relatives, take out a cash advance or even loan my next month’s paycheck. Assessing my situation, it was a disaster for me financially. I came to my senses that my finance was a mess and I thought that this cycle of living paycheck-to-paycheck should stop. I have to act. I have to plan my way out to financial stability and freedom. My story is not unique only to me. It’s a story that we often heard from friends, coworkers and relatives. We don’t want to live paycheck-to-paycheck that we need to work with the rest of our life just for money. We don’t want to wake up in the morning, leave our family, go to work all the day long for 8, 9, 10 hours a day, commute back home, get up the next morning and do the same routine all over again until we grow old. What we need is financial freedom – the freedom to do the most important thing for us without worrying about money so that we can spend our time doing the things we enjoy. Yes, we can do it and I believe we can. All we need is careful planning and right execution. I want to share with you the steps that I’m taking right now to achieve financial freedom and I want you also to start doing the same. First – Set up your financial plan. Create a budget to help you plan how to make the most of your income. 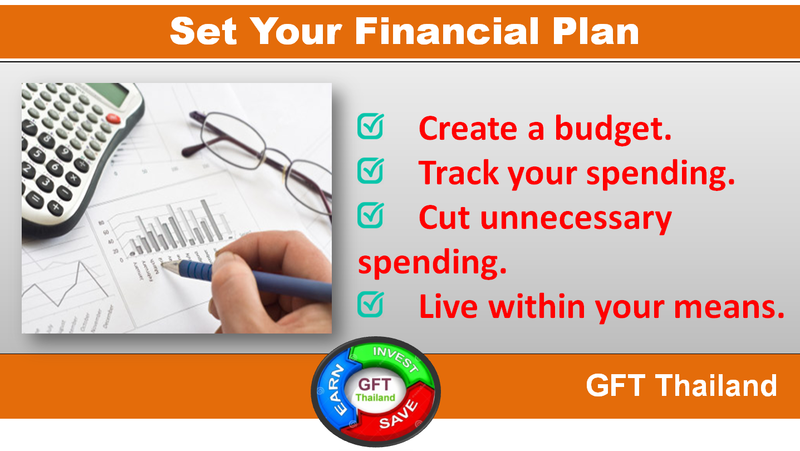 Then track your spending so that you can figure out where your money is going. Cut unnecessary expenses also. 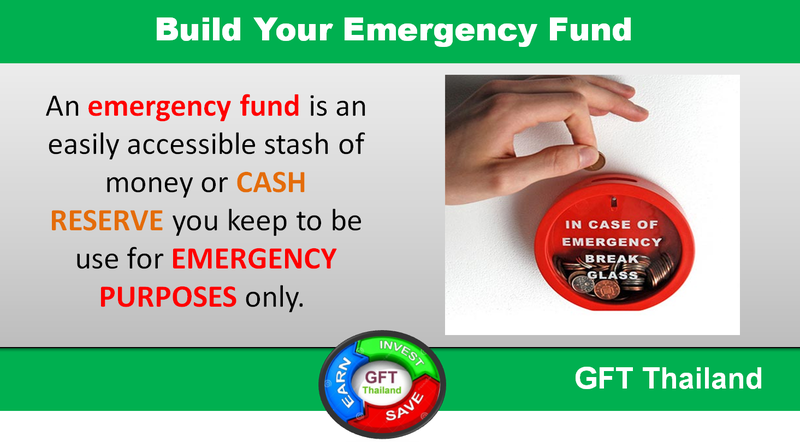 Second – Build your emergency fund. Allocate a portion of your salary for your emergency needs such as accident, health problems, loss of job and emergency needs of your children and the things you need during natural disasters. 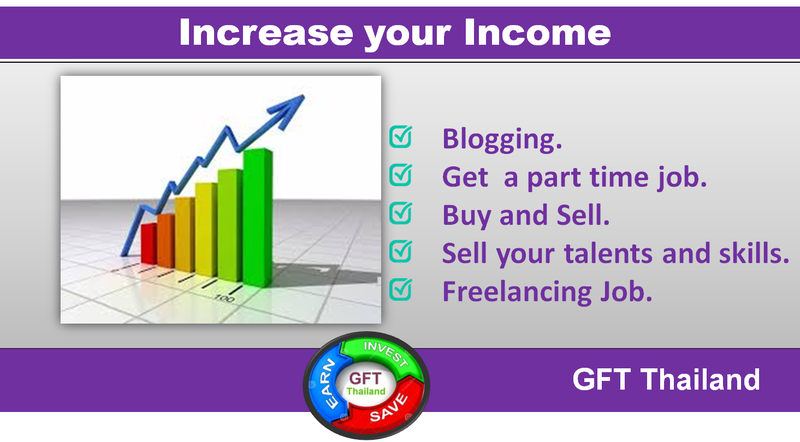 Third – Increase your income. Aside from your regular job, you can also look for additional cash inflow. You just need to be open-minded and be ready to grab any opportunity out there. Fourth– Save and Invest. Many Filipinos in Thailand know the importance of saving money for the future. But it should not end up there. 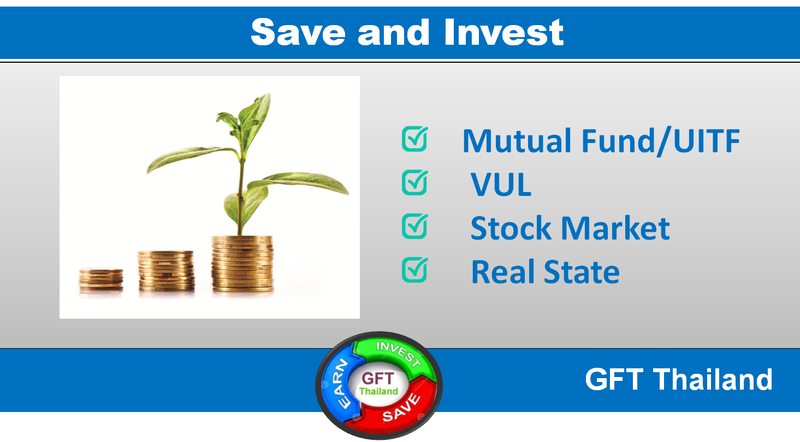 Saving should be followed by investing so that your money will grow rather than just let it devalued by inflation. There are many investment products that you can choose. But before investing your hard-earned money, you should first invest in knowledge. Read books/e-books about personal finance and investing and attend seminars/webinars conducted over the internet. I have collections of e-books about investing that you can request for free if you want. In my FB page GFT Thailand I always post free webinars that you can attend and learn about money management and investing. With these four ways that I shared with you, I hope that you have gained valuable information that can help you in achieving financial freedom.